Welcome to Visual Plastics - your custom ACRYLIC PLASTIC experts! 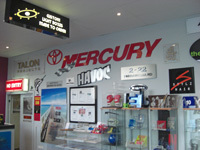 Visual Plastics is a 100% Australian owned business with over 20 years experience in the plastic industry. Visual Plastics, we are dedicated to customer service and satisfaction. With total commitment to the client, our company can assist in the design through to completion. With experience in many facets of plastic fabrication including acrylic (acrylic & other branded acrylic), polycarbonate (sometimes known as Lexan), polypropylene, PVC and polyethylene we can provide many solutions to your needs. A true one stop shop, from design, fabrication to installation - we do the lot!